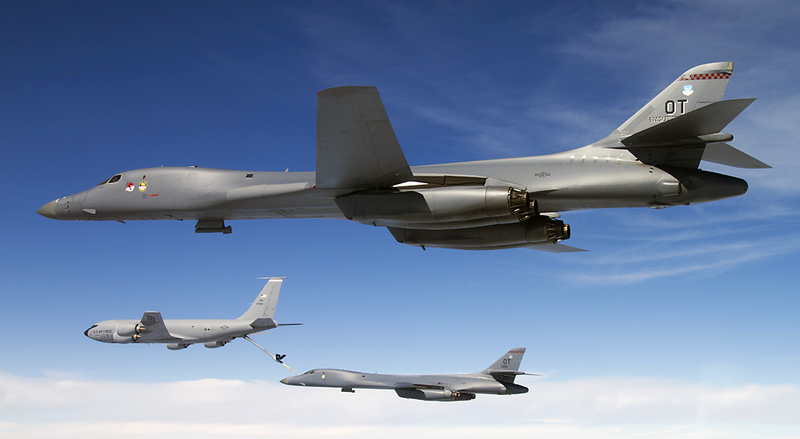 The U.S. Air Force is about to furtherly upgrade its fleet of B-1B Lancer bombers. With what the service announces as “the largest B-1 modification in program history” the supersonic swing-wing bomber will get several improvements as part of the Integrated Battle Station and Sustainment-Block 16 (SB-16) upgrade aimed to provide B-1 aircrews with a higher level of situational awareness and a faster, secure digital communication link. SB-16, includes a Vertical Situation Display Upgrade in the cockpit that will replace the two monochrome pilot and co-pilot displays with four color MFDs (Multi Function Display); a Fully Integrated Data Link and a Central Integrated Test System (used to detect and troubleshoot anomalies) in the aft station; a new avionics featuring moving maps and more user friendly symbology, navigation and radar upgrades. The aircraft will be upgraded to such an extent B-1 aircrew will need to treat a modified B-1 like a brand new aircraft. These modifications fall under the Integrated Battle Station initiative, which will be implemented by 2019. Developmental testing is scheduled to begin in April at Edwards AFB, California, while the 337th TES (Test and Evaluation Squadron) at Dyess Air Force Base, Texas, that will conduct operational testing validating tactics needed to exploit new equipment and software is expecting its first fully modified B-1 later this year. “The IBS/SB-16 upgrade to the B-1 enhances the ability of this amazing aircraft to integrate and operate with the most advanced air, sea, land and cyber platforms of our military forces,” said Lt. Col. George Holland, 337th TES commander.